A lot of people ask me about how I come up with characters, or their names, or how I keep them all straight. It’s not as exciting as some might assume, but it’s probably stranger, and thus (perhaps) more interesting. The origins of my characters, at least for Miscast Spells, are also the origin of the story, so I thought it might be a fun idea to do a little post on how The Styx Trilogy all began. Ever since I was required by my ninth grade English teacher to write twenty pages a month on whatever topic I wished, I’ve kept notebooks of story ideas. It was in one of these that I first drew my three main characters. It was my senior year of high school, I had some free time since I was a teacher aid and had finished the few tasks I had been given, so I decided to doodle some characters. I had just bought three colored pens, plus a black one with Badtz-Maru on it, and the ink was of sort that lent itself to drawing. 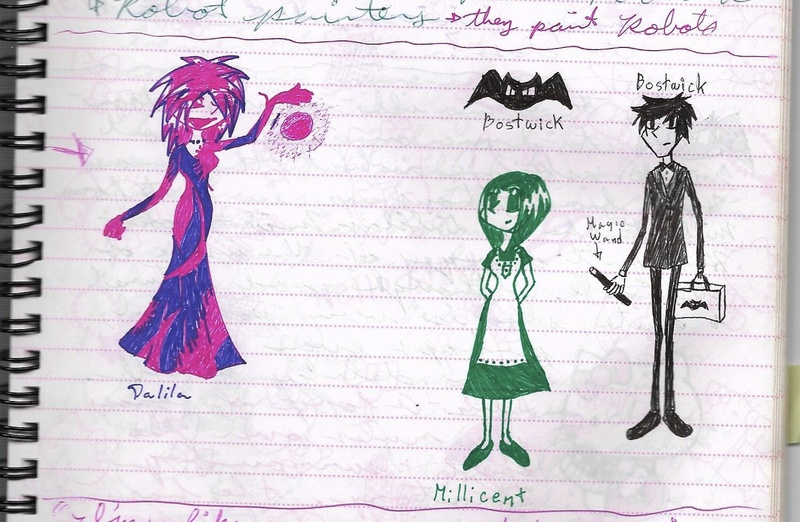 With the black one I drew Bostwick; with the pink and purple ones, Delilah; and with the green one, Millicent. That, my dear readers, is the actual reason that Millicent has green hair. It only became a plot point later when I was thinking about her backstory and thought it might be a good idea to figure out why a human girl would end up with a green hair. I probably could have just made her a brunette or something, but that’s not my style. Once I know what a character looks like, it’s very hard for me to change it. About six months after drawing the above characters, I actually wanted to start writing their story, since I had some good ideas for it. The only hang-up (and it’s the same hang-up I’m having on newer projects) was whether to write it in first or third person point of view. If I did first, from whose perspective should it be, since I wanted to have characters in multiple places doing different things? I toyed with the idea of Bostwick’s rabbit being the narrator, and calling the book “Diary of a White Rabbit”, but that led me to wonder why she could talk. 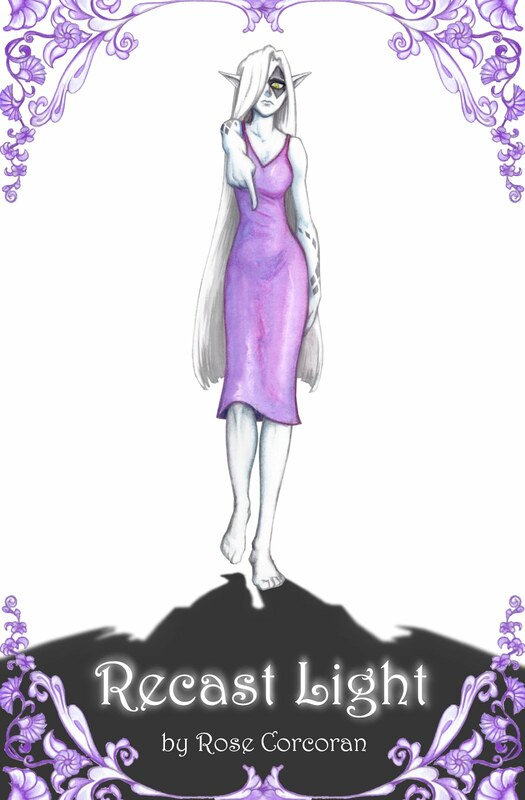 Well, she could be a cursed princess, I supposed, who had been cursed by a goblin for a trivial reason… and the rest was history. I ultimately decided to go with third person POV so that Emmaline wouldn’t need to be in every scene, and so that some characters could know and talk about things other characters weren’t privy to. 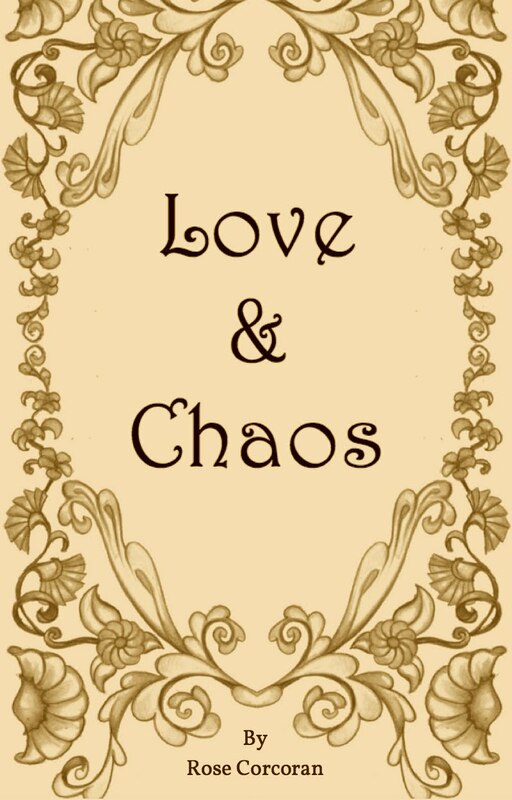 So I had all my main characters, the setting, a basic premise. I even had a vague idea of a conflict (very different from the one I ended up going with, by the way), but it required a villain, and that is something I didn’t have. But I did have a roommate, and my roommate owned a cat, and that cat was the meanest cat I’ve ever met. Mookyo was his name (don’t ask). He was big, fat, fluffy, and angry at the world. He did normal cat things, like scratching furniture and knocking things off the table, but he waited until I was watching to do it. He did it because I was watching. One time he escaped (he was an indoor cat in a big city), and I tried to herd him from the front porch back into the house, but he refused to go. When I tried to pick him up, he clawed my hand, creating a huge gash along my palm and thumb, then ran to the backyard. I gave chase. Hot on his tail, I pursued from back to front, onto the porch and… he just walked inside, like it was what he wanted all along. Why couldn’t he have done that from the beginning? On another escape attempt, he hid under a car and my sister (who is the third roommate in this story) fished him out; he bit her so deeply he hit bone. This creature, this black-hearted beast, would be my villain. Or, the blueprint for my villain, I guess. He was originally almost exactly like Mookyo (and called “Moo” in the early drafts), and was mean and spiteful for the sake of it, but I’ve never been a fan of villains who do evil for evil’s sake, so I slowly started changing his character, trying to think of a motivation, a backstory. Well, his reason for hating Delilah was obvious, since she would treat a cat the way I would if I had no impulse control. But what else… Well, let’s just say his backstory went through a lot of changes, and his personality went right along with it. No longer the wretched little devil his feline appearance was based on, but now a more complex character, one which I would no longer even describe as a villain, he needed a new name. I liked the name “Sebastian”; it seemed to suit him, so it stuck. And as for his appearance in his true form, let's just say I was heavily influenced by anime from the 90s and early 2000s (and also probably by Nicholas Tse in The Promise). The side characters come from all over the place. 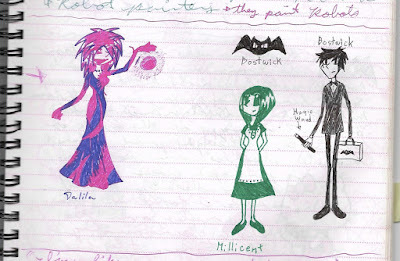 I think the Roly Police, Heather, and the carnivorous mushroom were from some early doodles that I drew at around the same time as Bostwick and Millie. Jigory and Polkory’s designs are loosely based on my idea of what kamaitachi would look like (Japanese wind spirits that resemble weasels with scyth-like claws). Mr. Charles is named after Charles Ludwig Dodgeson, who had a great influence on the Styx Trilogy, but his personality is a combination of a few characters from various things (I was going for something across between Xellos from Slayers Next and Nigilus Black from Order of the Phoenix… I think I came out with something altogether different). Balder Spleenbeck came from sheer writer’s block; I needed someone to do what he does in the book, but I could not for the life of me settle on who, or why, or what their motivation for doing it would be. My mother eventually supplied both the name and the general look of Spleenbeck (though his adorable little wings were, I believe, my idea), and his personality gave him a motive that didn’t require to many additions to the main story. I have no earthly idea where the giant capybaras came from, but they seemed to fit, as did Marco Melieh, who is a combination of George Melies and Marco Polo (Melies made several films involving astronomers or wizards, and Marco Polo was, of course, an explorer.) You'll notice that I spelled "Melies" as "Melieh" in hopes that people would know how to pronounce it. 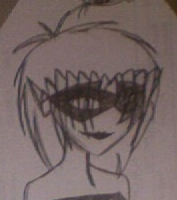 Clarence probably came from the copious amounts of manga and anime I consume. Misha, who has only shown up in a side story so far, was also probably inspired by Nekozawa in Ouran High School Host Club (again, it makes sense in my brain, even if no else would be able to see the connection). I like male characters with soft sounding names, so “Clarence” and “Misha” fit the bill. Poor Bostwick got the short end of the stick, and ended up with a name that sounds more like a butler, as Delilah would say. 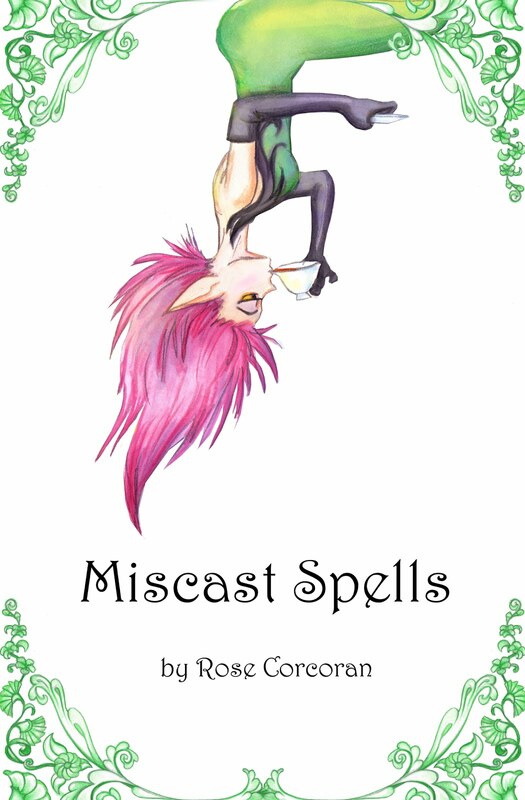 I think that covers the characters of Miscast Spells. 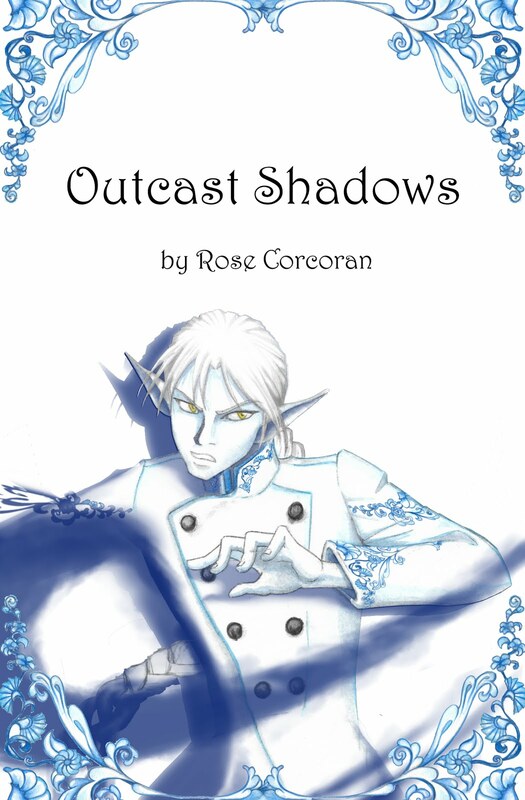 There are a few strange and possibly interesting character origins for some new characters who show up in Outcast Shadows, so I might do a post on them after the book is released.